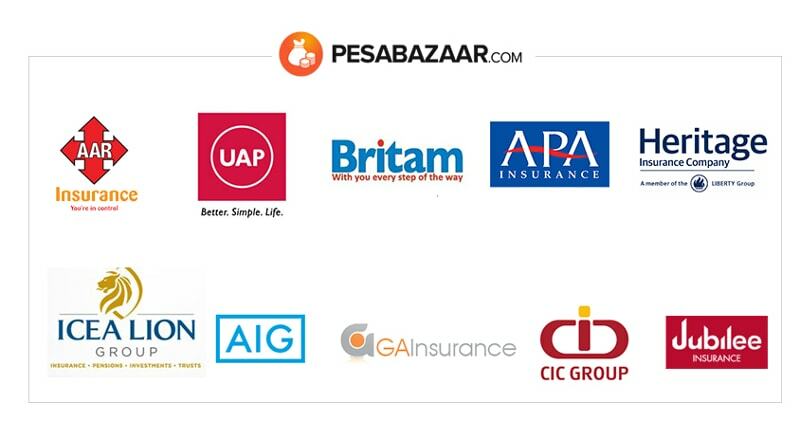 The Kenyan insurance industry is one of the fastest growing markets on the entire African continent. The total gross premiums collected have risen from KSh 131 billions in 2013 to KSh 173 billions with the life insurance being the faster growing segment compared to the general business line. It is the biggest in East Africa, 5 times bigger than the second largest market Tanzania. Similarly, the insurance penetration is significantly higher at 2.8% with Rwanda coming in at second with 1.6%. Kenya is number 5 in Africa behind South Africa, Namibia, Mauritius and Morocco. There are a total of 51 insurance companies, 180 brokers, 6,417 agents and 19 bancassurance providers. The market is mainly dominated by intermediaries where the agents have 57% of premiums, brokers 28% and the companies 15% of the market. Nairobi County accounts for 67% of the total national premiums followed by Mombasa at 4%. The general insurance segment is still the larger than the life business, contributing KSh 112 billions (65%) of the total premiums in 2015. This is different to many of the industrialised countries where the life business is the bigger share of total premiums indicating that there is still a lot to be done in Kenya to increase the uptake of life insurance products like savings, pensions and investments products. Medical is the largest percentage of premiums at 27% followed by Motor insurance for commercial vehicles at 22% and private vehicles at 18%. Incidentally, these 3 business lines are the biggest loss making lines in the industry. The biggest underwriting companies are leaders in these business lines underwriting a large portion of the total premium. Jubilee Insurance Company Limited has continued to lead the market locally and in East Africa with 11% of the Kenyan premiums market followed by APA Insurance Company at 8.3% market share. Source: IRA Industry Report, April 2016.